The Boyton Community Group has come out of hibernation and going back to our roots – the Environment. So, to take your mind off Brexit for a couple of hours do come and join us to discuss relevant things of even more importance to our communities across the Peninsula, with like-minded individuals. The pre-AGM final edition of the updated Welcome Pack is now available. Let us know if you spot any errors, omissions or suggestions. And I am not talking about the new iPhone X. There are only five named apple varieties documented as having Suffolk origins according to applesandorchards.org.uk. Framtrade are happy to continue and reward our customer loyalty, giving the best price and great service including payment upon invoice shortly after delivery. To do so we will wind down our meetings to two or three times a year for a general discussion/ debate on environmental matters and how they may apply in our rural setting. If you are interested to contribute, have an idea or just want to learn more then please join us at our AGM at 2pm on Sat 16 July or one of the future meetings as advertised in Village Voices and this website. We will continue to run with the ordering process in collaboration with Framtrade (part of the FramFarmers group), three times a year – orders to be in before end November / March / July, for delivery early the following month. Refer to the Boyton Oil Syndicate page for specific dates. Framtrade have consistently given us the best price over the past year and more. You will get the same service and discount, simplifying orders by dealing direct. A new venue has been kindly offered again by Richard Pipe just beyond the farmyard: head up Mill Lane, round the bends, down the dirt track, go past Boyton Hall Farm, through the farmyard where limited space is available for cars to be parked if not walking. The bonfire is in the stubble field on your right as you exit the yard heading out towards Warren Hill. See map below for location. A short précis of two recent events I attended: Suffolk Climate Change Partnership – Community Energy Workshop and; Energy & Climate Intelligence Unit – Communicating Around Climate Change webinar. 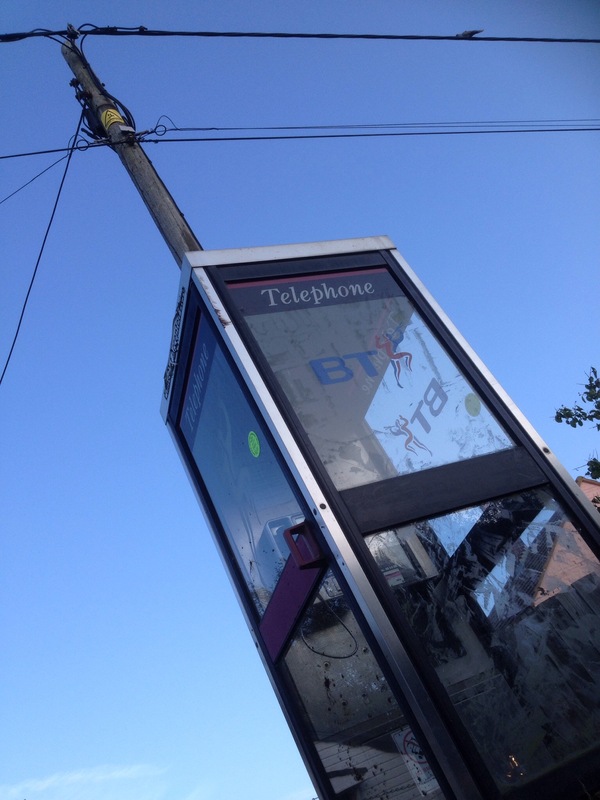 Phone box: Retain. Repurpose. Remove? Emergency life line; community asset; or ugly liability?